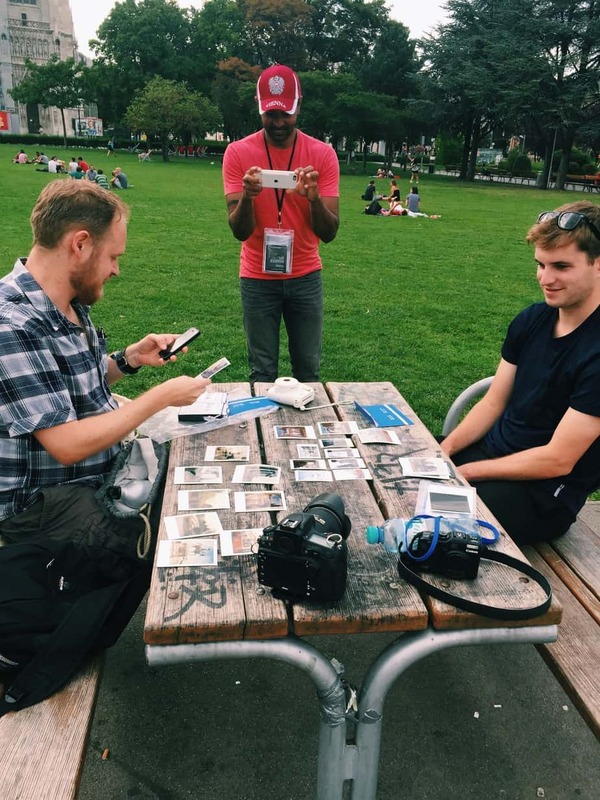 Our time in Vienna was so special, and that is largely down to the unique tour we took with Sophort HQ*: a Vienna polaroid tour! We arrived to Vienna with sore feet and low expectations. After standing for the roughly three hour train journey from Budapest (thanks to no remaining seat reservations) we didn’t really know what to expect from Vienna. The more we researched into the city, the more overwhelmed we became with the vast amount of “must see” sights. Vienna is basically a museum in itself, and with only one full day, we needed an action plan. 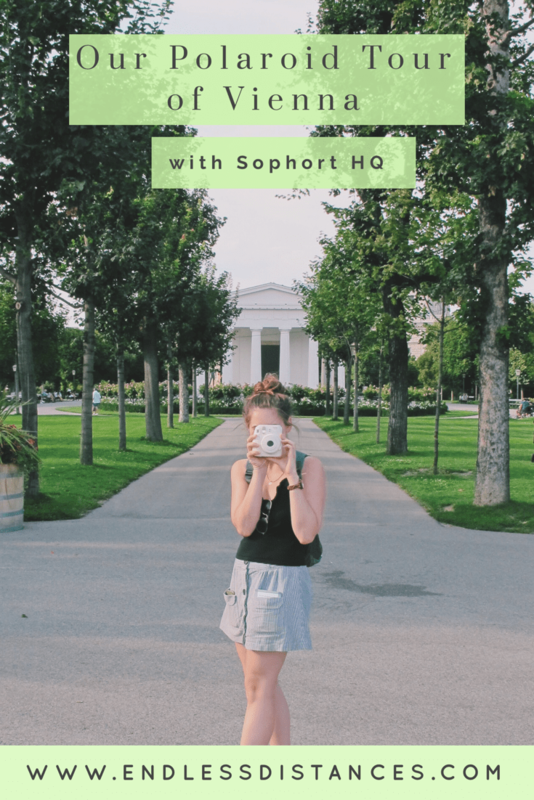 Luckily, we were booked into the Classic Vienna polaroid tour with Sophort HQ – it ended up being the perfect way to see the city, and I would absolutely recommend it to anyone, especially those short on time like us! 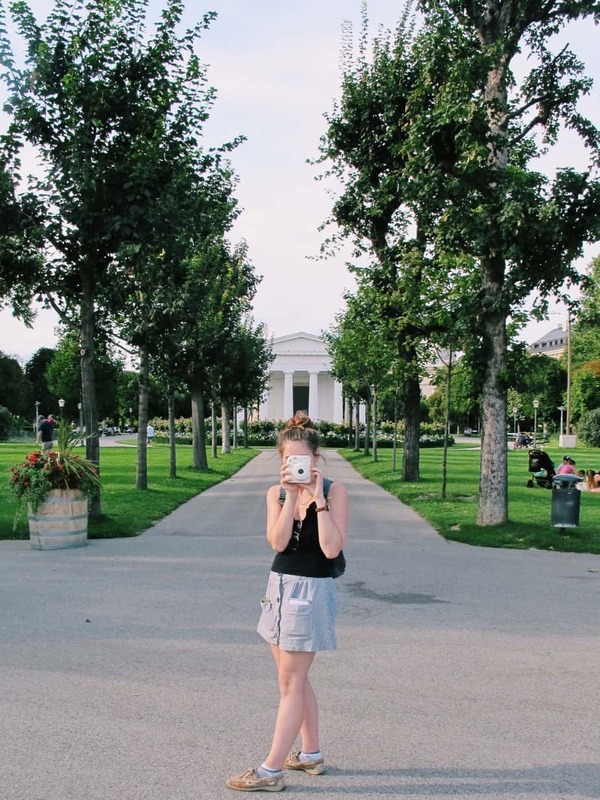 If you’re short on time in Vienna, sightsee with a unique Vienna polaroid tour! Read for our experience with Sophort HQ Vienna polaroid tour. ^^Dan, me, and our tour-mate Nick! Photo courtesy of Thomas. So… what is a polaroid tour? This is not the typical city walking tour where you’re spoken at by someone regurgitating a history book. 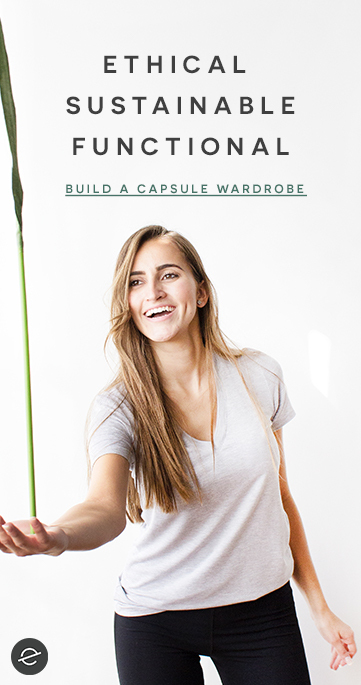 The premise is simple: You’re given a vintage polaroid camera and set loose on the city to snap away. That isn’t to say that the tour is not informative, though. 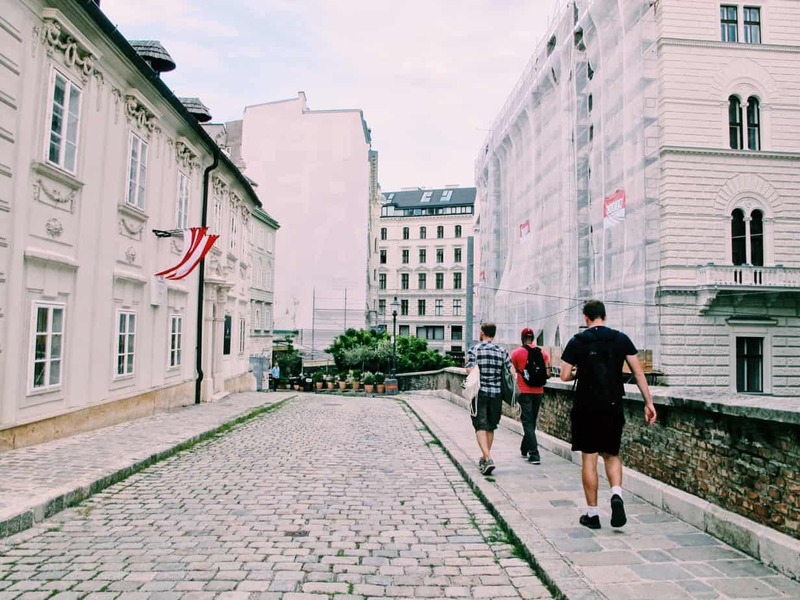 The tour is guided by a Vienna local (we were lucky enough to have Thomas, one of Sophort HQ‘s co-founders), so you get tid-bits of history along the way, as well as local insight and general good conversation and laughs. When I first read about the Vienna polaroid tour I was hooked. I am a sucker for anything unusual or quirky, and spent a couple years playing around with an old polaroid I bought from a garage sale in high school. More recently, I have been messing about (mostly unsuccessfully) with my Instax camera. 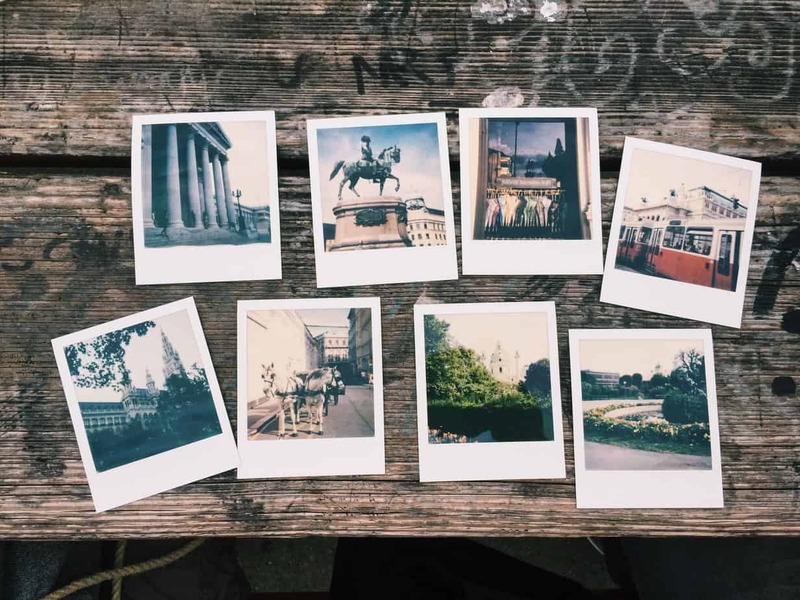 A city tour centered around polaroid cameras seemed like the perfect combination! One of my favorite parts of the Classic Vienna polaroid tour was the actual instruction on how to use a polaroid… and an instax! See, polaroid and instax are two different cameras. 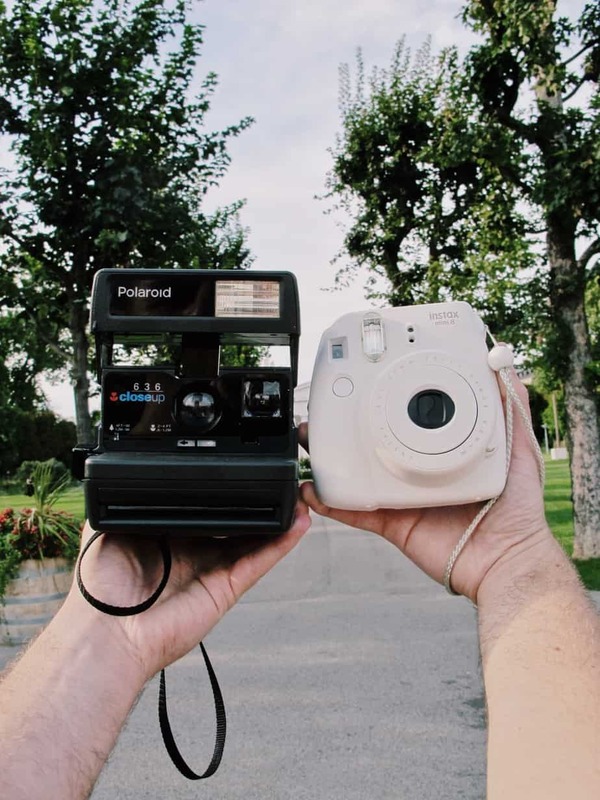 You will probably have seen instax all over social media the last two years – they are small, cutesy, and pastel. Polaroids are a bit more dark and mysterious – they are the original instant film, but the Polaroid company actually went bankrupt around 2010. However, there is one company in Austria that still produces Polaroid film, available for €20 a pop… who knew, right?! We brought the Instax along for the tour (Sophort allows any other cameras you desire on the tour, and our tour-mate Nick even had a DSLR!). It was really fun to compare Polaroid and Instax film. If you want the long story short… we loved this tour because you got the perfect combination all in one. Learning a new skill + casual city sightseeing + chatting with a local = our perfect tour. For me, having the Polaroid camera and knowing I only had eight photos that I could take changed the way I looked at the city. I felt myself seeing Vienna through heightened senses. Everything became angles and reflections and shadows and perfect-timings. And call me crazy, but I even felt a little adrenaline as we hid the newly snapped photos away in our dark pockets to develop away from the sun. What would they turn into? Would the film be spotted or the photo underexposed? 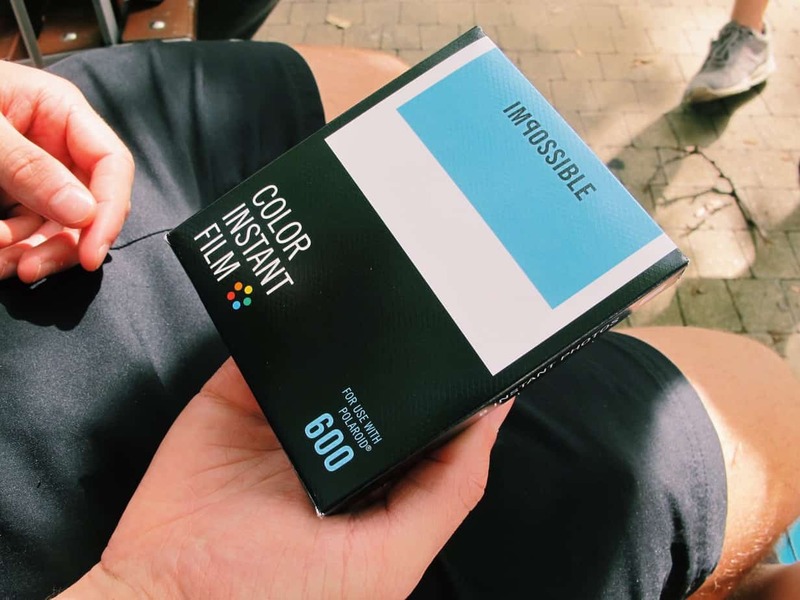 Each Impossible film pack came with a little fake photo that you used to cover each photo as it was ejected so the sun didn’t destroy the film. I loved the sayings on them! Creativity… As we walked around Vienna, Thomas pointed out all his favorite shots and gave lots of advice about getting good angles or the best lighting. 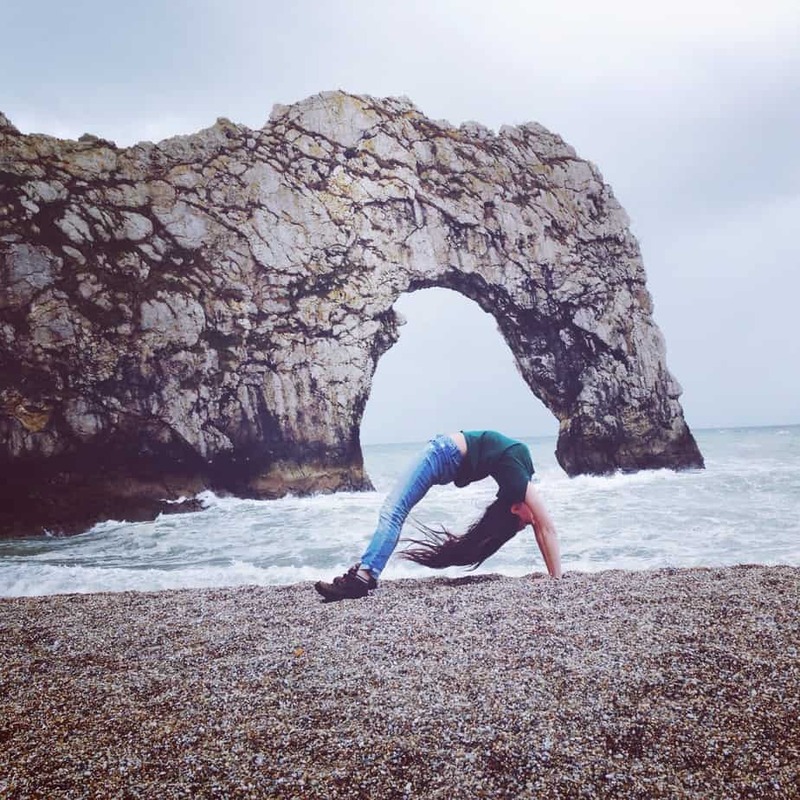 However we also had a lot of opportunities to be creative and there was absolutely no pressure to take photos at certain places or not – it was all up to us which contributed to this really independent and creative vibe in the group! Because we had Polaroids, my Instax, my point-and-shoot camera, and Nick’s DSLR camera in the group, we also got quite creative with our other cameras as well! I loved seeing how Polaroid shots compared to the same photos on different cameras. Sightseeing… The focus wasn’t purely on photography, though, and we ended up seeing so much of the city. 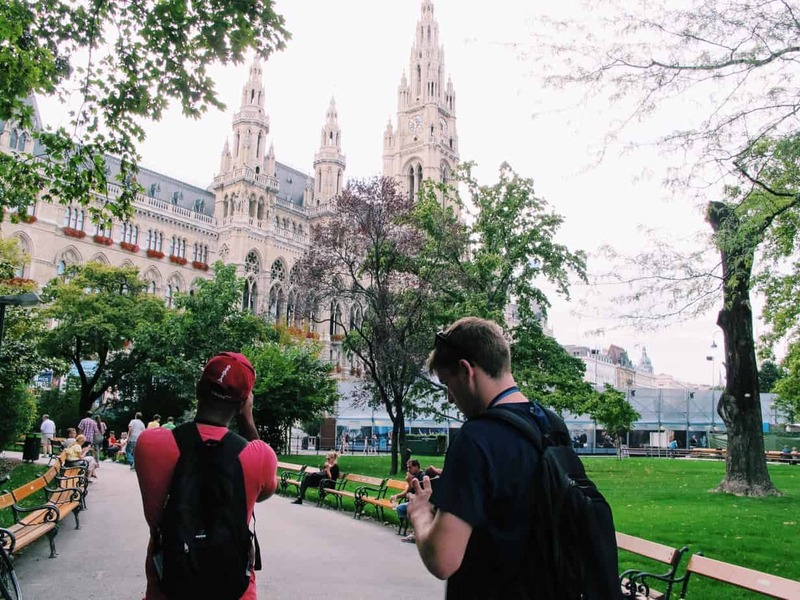 As Dan and I only had the one full day in Vienna, this ended up being such a unique way to get around to all the major sights on our list, plus a few extra! A present to take home… Okay, and finally, my favorite part! The end result! After hiding our polaroid photos away in dark pockets for the majority of the tour, we pulled them all out at our last spot. Spreading them across the picnic table, we got to examine each unique little square. From each of our red streetcar photos snapped at slightly different times, to the reflection photos to the shadowed columns, we rearranged and mixed each polaroid across the table. It was also interesting to compare film packs – each film pack is unique and we noticed a definite orange-hue to Nick’s pack compared to ours. Tour types: There are four Vienna polaroid tours: the Classic (this is the one we went on), Winter Classic (November-February), Urban, and Custom. 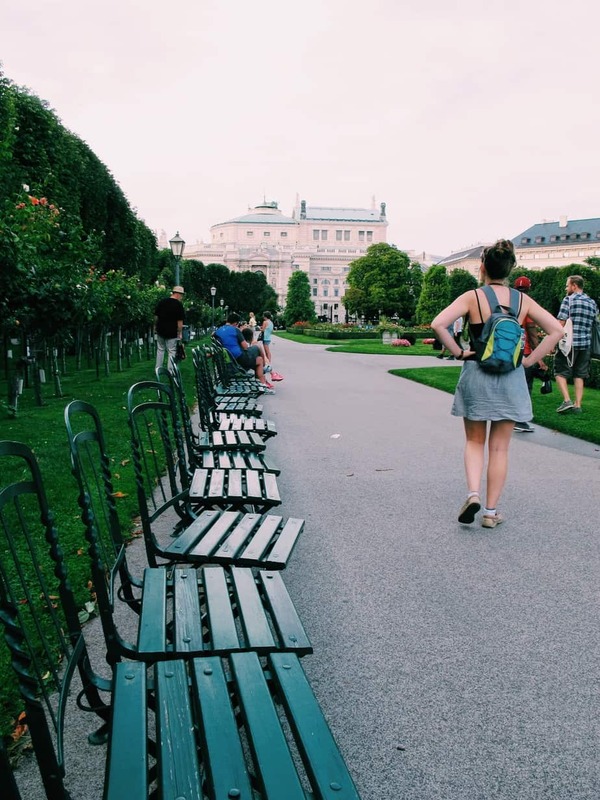 Locations: Vienna is the original location, but you can also go on tours in Graz, Salzburg, Warsaw, Rome, Barcelona, Paris, Hong Kong, Florence, and even more locations! 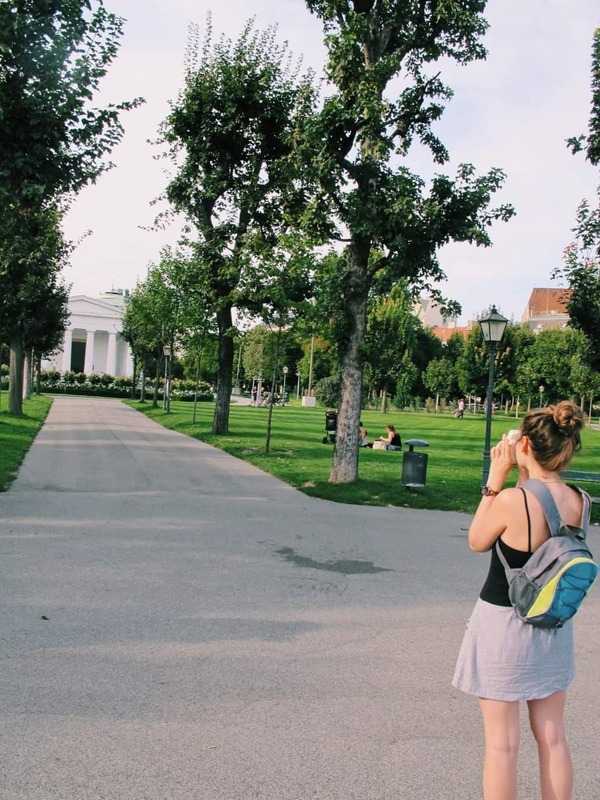 Price: The Classic Vienna polaroid tour is €55. A non-camera ticket is €25. 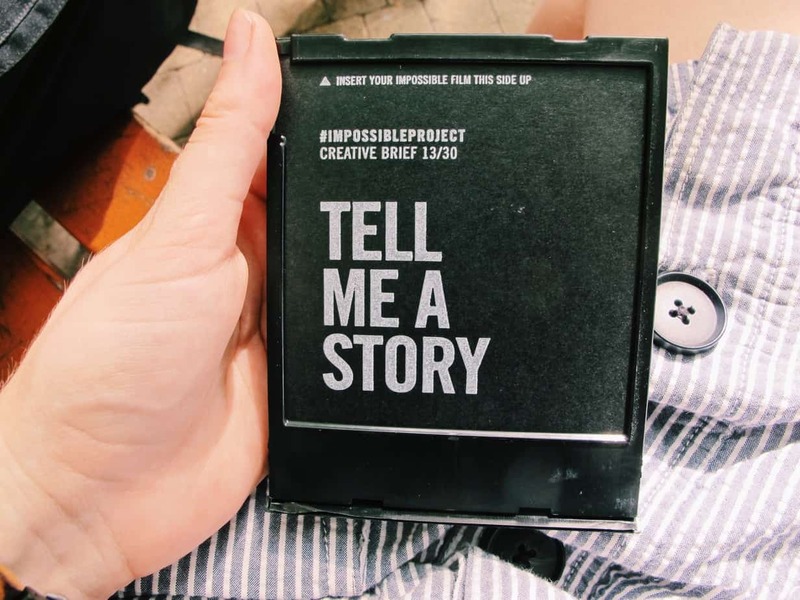 The camera ticket includes: rental of a vintage polaroid camera, one pack of the Impossible Project polaroid film (worth €20), an informative booklet of the sights you see, and of course, the tour! You can book your polaroid city tour here. 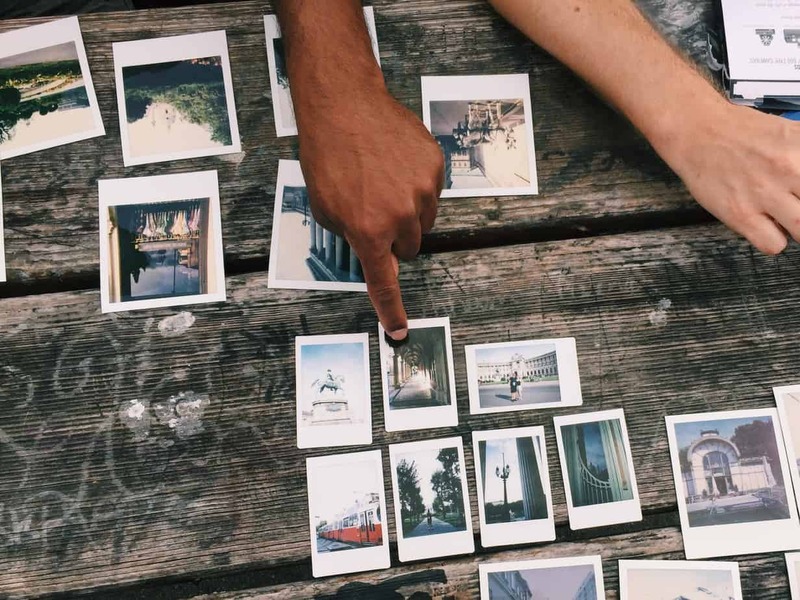 Would you ever go on a polaroid tour? We absolutely loved ours (if you couldn’t tell :P)… actually, we are currently sitting in a hostel in the mountains of another country, reminiscing about the best memories of our entire trip and Dan’s first one was this tour! *I use affiliate links in this post. If you purchase something through my link, this will come at NO extra charge to you, but I will receive a small commission which helps in the running costs of this blog. Thank you for supporting the brands that support Endless Distances! **We received the Classic Vienna polaroid tour complimentary from Sophort HQ in exchange for an honest review. As always, all opinions are my own and I would not promote something on Endless Distances that I did not love!